We are very pleased to have welcomed Anna’s Drawing Room to the Beach House to display her work and refresh our walls! Anna a, largely self-taught, local artist based in Worthing launched her own art business, Anna’s Drawing Room just a few years ago but with such an incredible style and observation of plants and landscapes her art has already brightened many homes. Anna cites her main influences as Finnish textile design, Anna is Finnish herself, and a particular a David Hockney exhibition which brought about her first series of prints and cards with a simple, strong, linear style. More recently Anna’s work has featured trees, forests and leafy plants, playing with layered textures and she has work underway that offers moody landscapes, looming trees and rolling clouds but trees still a large focus. 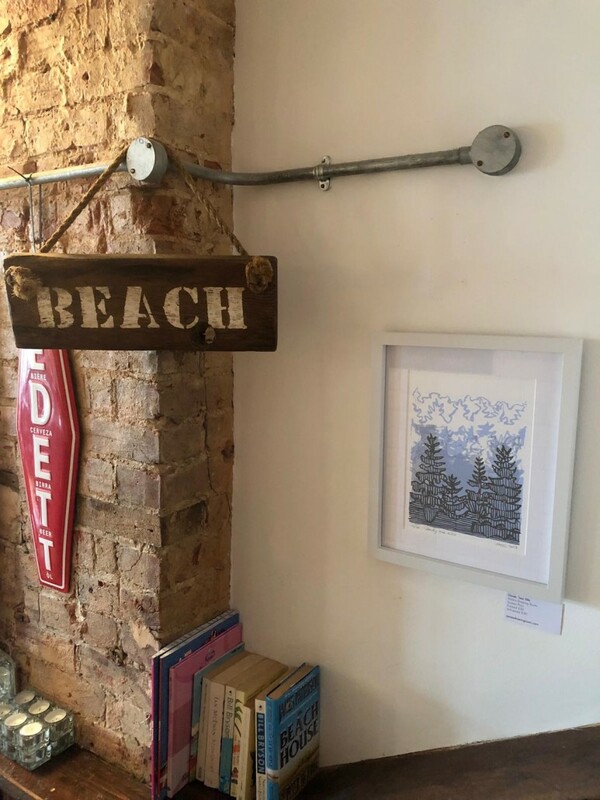 We are very proud to be able to display Anna’s work on the walls of the Beach House, not only do they bring interest and drama to our space, but they are available to purchase (details are provided on cards beside each work). Visit The Beach House for a closer look…. 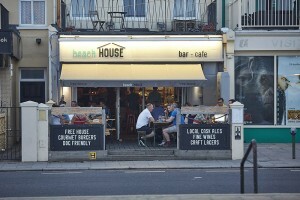 If you are looking for a function venue in Worthing, which offers delicious catering options, why not try The Beach House? 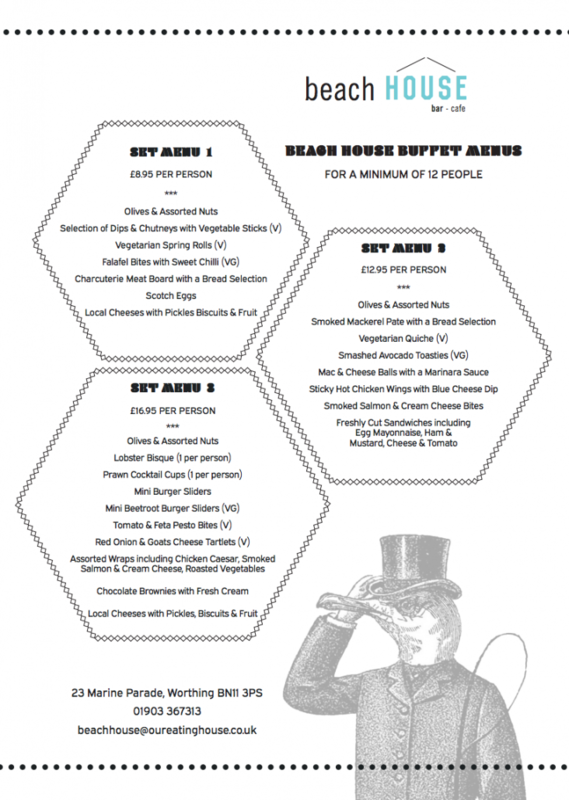 We offer a choice of 3 set menus to suit your budget, from £8.95 per person, to £16.95 per person. Each has a varied selection of platters including vegetarian selections and at least 1 vegan dish. Depending on the size of your group, the rear section of The Beach House lends itself perfectly to being sectioned off for your exclusive use, for groups of around 20-60 guests, we will happily discuss your requirements and accommodate your group in the best way we can. To book we require a deposit of £100 which will be refunded on the day of your function. We never rest on our laurels at The Beach House and we are pleased to announce a short period of closure in January so we can make a few updates to our beachfront bar. From 7th January until 17th January we will be closed with a view to improve our outdoor decking area including heated umbrellas and lights to make it more comfortable all year round. Our furniture will be updated and bi-folding doors will be installed. We will also take the time for a new lick of paint here and there while we are closed. Once we have re-opened we will have all your favourites return including our Street of The Week offer, where residents of a different street each week can enjoy 15% off (weekdays only), our Burger Deal each and every Wednesday, with a House Burger & Chips plus pint or glass of wine is just £11 (add £2 for other burgers) and Steak Frites with a drink are just £13 on Thursdays. Don’t forget, Tuesday nights will continue to host our Quiz Night with Gareth raising money for Superstar Arts. The quiz night is great fun and features additional rounds of card bingo and lots of laughter. Each weekend, look out for specials being highlighted on our social media accounts (Facebook | Instagram) and for DJ nights which are always popular. 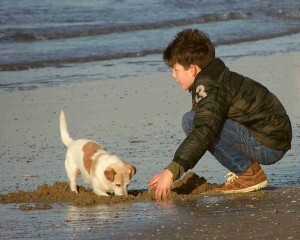 The summer may be over, but the great thing for dog owners is that we walk on the beach all year round! 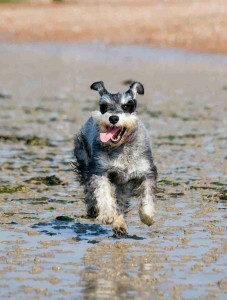 In Worthing that also means that the central beach area is great for dogs after being lead only during the Summer. 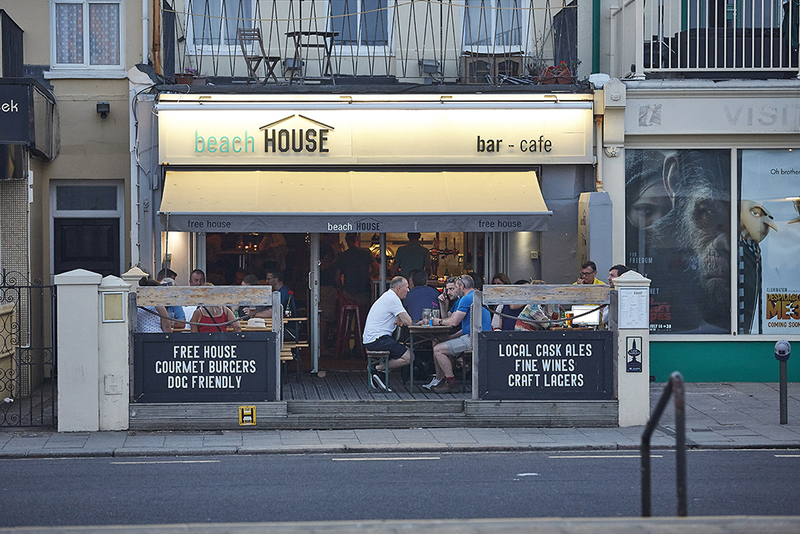 The Beach House is a fantastic dog friendly cafe along the seafront to aim for when out walking with your four-legged friends, we always have a very warm welcome for any dog walkers who visit. Dogs who pop in to see us can have a free biscuit from the jar on the bar (if you can’t see it just ask) and a fresh bowl of water on request. Our wonderful seafront can be enjoyed in a number of ways, either with a flat and simple walk along the wide prom (dogs must be kept on leads along here) or on the beach itself. At high tide there are lots of pebbles to play in amongst, but at low tide a huge swathe of flat sand, with some pebble and chalk beds, reveals itself and then you really can walk for miles. Walking under the pier is always interesting to see how the structure has been constructed, with seaweed and barnacles stuck to every surface. On days with a very low tide, you can sometimes even walk to the end of the pier on the sand below! Dogs love a paddle in the waves and a chase of the sea birds that inhabit our wonderful beach. For information on where the beach is dog friendly during the Summer visit here, but we think a good bracing winter walk with your dog is best. 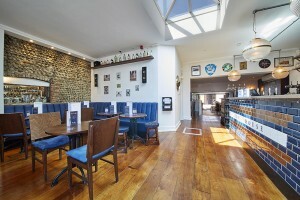 Come and warm your feet with us and enjoy a local ale or your favourite drink, or perhaps even a bite to eat, we look forward to welcoming you to our dog friendly cafe bar soon. Our weekly line up of special offers at The Beach House, plus great events means that there is a reason to visit every day of the week! 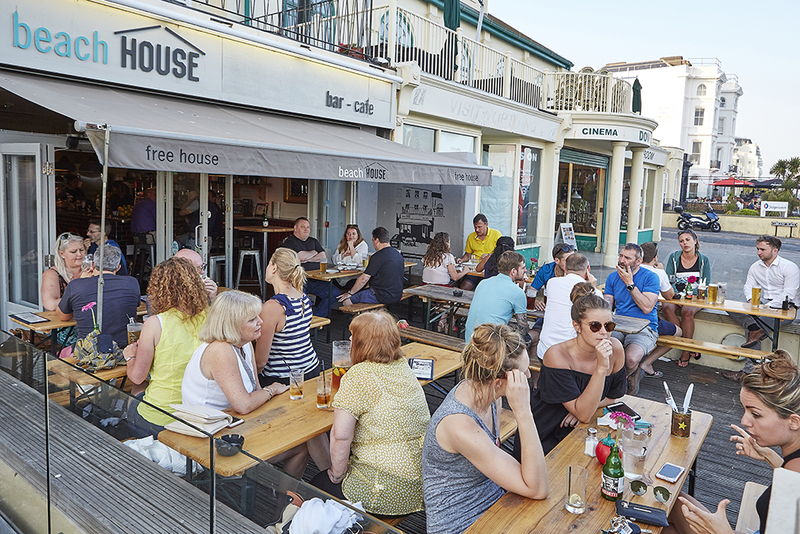 The Beach House has now been open for more than 4 years and in that time we have certainly become known for being a truly family friendly seafront bar in Worthing. Situated across the road from Worthing beach, with all the walking and fun it has to offer and very close to our wonderful art deco pier and amusements, we are in prime position to be the perfect stopping point for a relaxed family lunch. 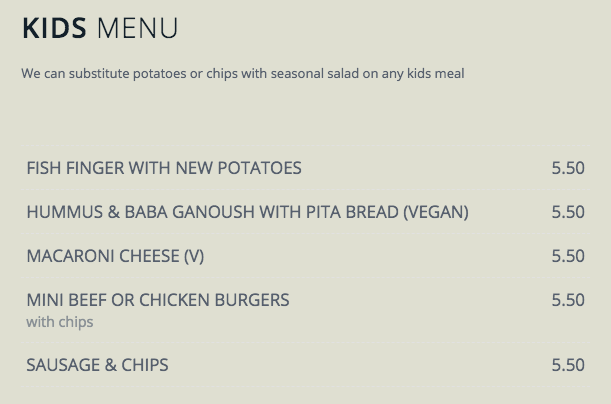 Offering a tasty selection of dishes, many of which can be enjoyed by children, plus their own kids menu, we can cater for all ages. What’s more you don’t even have to leave the dog at home, so many of our customers visit us after a delightful dog walk along the beach or prom. We always make families feel welcome here, with everything you need to make it a chilled stop. Right next door we are also lucky to have the Dome Cinema, a truly traditional cinema with a great selection of films for all the family, and a cinema treat can be extended by popping in to us before or after your show. Across the year, and most recently during the school holidays we have welcomed many families either inside or on our seafront deck in warmer weather, but it doesn’t stop The Beach House from feeling grown up to those visiting without children. 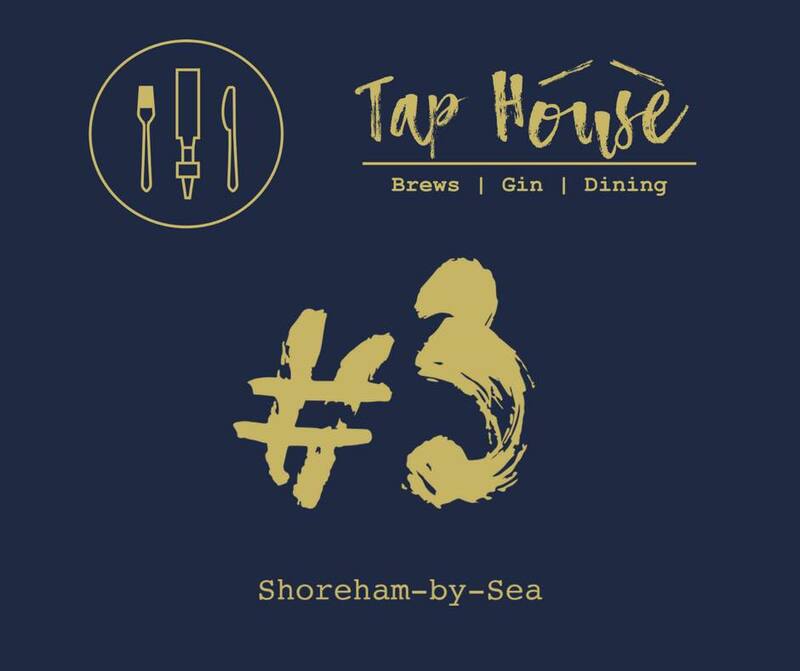 We have found a very happy balance and has made our family friendly seafront bar a real asset to Worthing which is something we are really proud of. 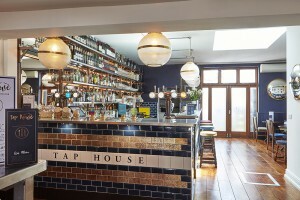 If you haven’t already visited, why not pop in when you are next in town and try for yourselves. We did it! 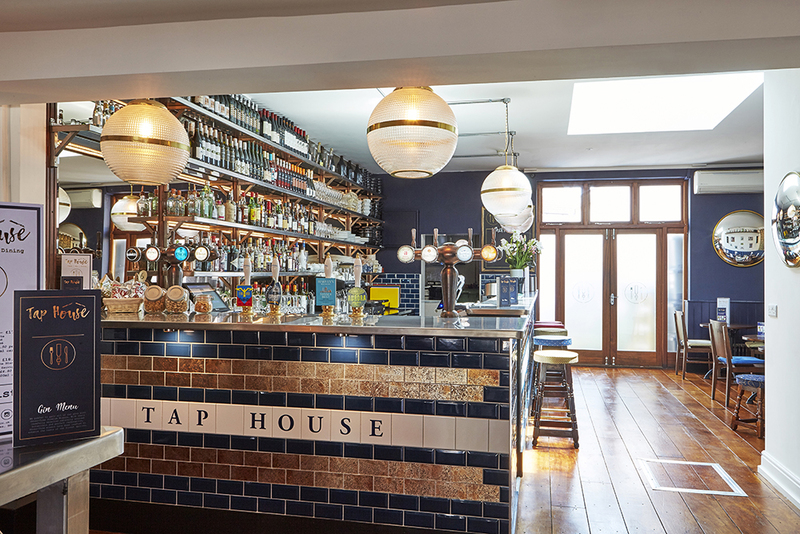 The Beach House sister bar – The Tap House in Shoreham is now OPEN! 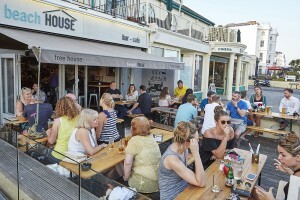 Even if you are a Worthing resident, why not pop along to Shoreham to support the Beach House Sister bar and take a look around the shops and places of interest this wonderful town has to offer. In 2018 the NHS are having their wonderful 70th birthday. Everywhere people are saying thank you to the NHS staff for all that they do for us, and with such a large and busy hospital in Worthing the NHS are especially important to us in our town. But, along with The Corner House, The Beach House didn’t wait for a milestone birthday to say thank you for their tireless efforts on our behalf. 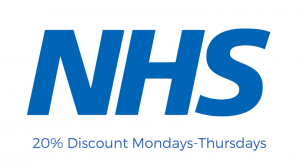 We have been offering NHS staff a 20% discount Monday – Thursday since February 2017, just our way of showing our appreciation for all they do! 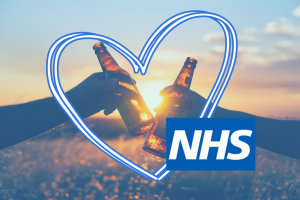 Thanks to our sunny position on the seafront, we often see NHS staff popping in for a bite to eat and a spell on our glorious deck during the week as a break from work, or a post-shift treat. Getting together for food is an important part of relaxing and winding down after a hard day’s work, so we hope that this offer will help make that more possible for NHS staff from all departments. All staff need to do when they visit The Beach House between Monday and Thursday is present their NHS ID card to our staff. Our menu offers a full range of snacks, sharers and more substantial meals, catering for vegans and vegetarians along the way. Famous for our burgers, we have weekend specials to tantalise the tastebuds advertised on social media each Friday. Call us on 01903 367313 to book at table.